These are uncertain and volatile times; our country is in a perpetual state of limbo. This week, in particular, proved just how high the tensions are running around the Commons — with the abuse of journalist Owen Jones, and the heckling of Conservative MP Anna Soubry, who live on the BBC was repeatedly called a Nazi and a liar. Then, on Tuesday and Wednesday, in an attempt to tie Theresa May’s hands, parliamentarians rightly took some control away from the executive and handed it back to Parliament. A rebellion of Tory backbenchers forced the Government into losing two historic votes in just under 24 hours; the first limiting the tax powers of the Government in the event of a ‘No-Deal’ Brexit; the second forcing Theresa May — in the event of her deal being voted down — to come back to parliament to offer a ‘Plan B’ within 3 days. Next Tuesday, in what is set to be one of the most uncertain days in modern times, Parliament is set to vote on Theresa May’s Brexit deal. This will either make, or more likely break, the Government. And judging by the fragile state of Parliament lately, the idea of a second referendum — otherwise known as the ‘People’s Vote’ — has picked up considerable traction. It’s easy to see why — the atmosphere in Westminster is toxic. 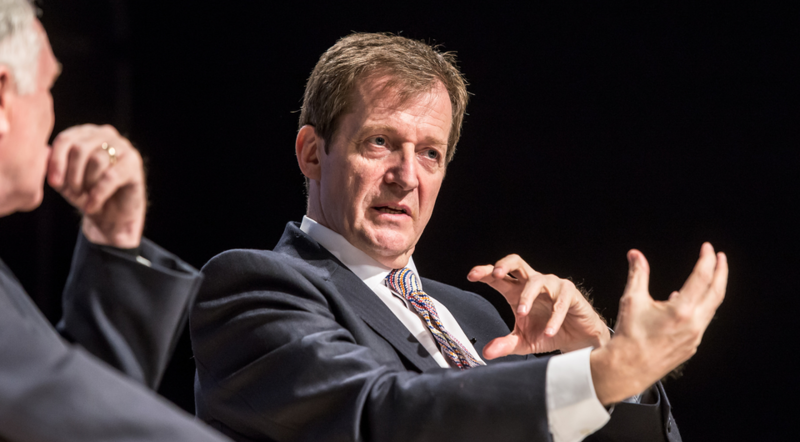 Here to make the case for a ‘People’s Vote’, and unpack some of these issues with me, is Alastair Campbell. Campbell is best known as the political spokesman to the former British Prime Minister, Tony Blair. And since leaving government, he has gone on to become a political adviser and communicator. In the past decade, he has authored over 14 books — from diaries, memoirs and novels, to books on mental health. Here’s what he had to say. Hi Alastair, thank you for agreeing to take part in this Q&A. We can both agree that our country is deeply divided. We’re living in an age of tribalism and deeply entrenched ideologies, both on the left and the right. We’re seeing the abuse and heckling of MPs and journalists on College Green. It is deeply worrying. It just seems that some in Britain have learned very little from the horrific murder of Labour’s Jo Cox. How did we get here? “There is no simple answer. But first of all, we should remember politics has always been tough and rumbustious. Also, we are certainly living in an age of anger. Social media helps to fuel that, but frankly, the written press has been fuelling it long before Mark Zuckerberg or Twitter had ever been heard of. The decline in deference, on the one hand, has been a good thing, but on the other has helped fuel this idea that people can say and do whatever they like about public figures. “Your point about Jo Cox is an interesting one. The day after Anna Soubry was jostled and abused by the hard right I was on ‘Good Morning Britain’. Piers Morgan said to me that I had been used to tough debate and had had a fair bit of abuse down the years, but ‘was this a low point in our politics?’ I had to remind him that Jo Cox had been murdered and that was the low point. I worry how quickly we forget these days. The pace of change and the rapidity of the news cycle seems to be shortening both attention span and collective memory. We are now where we are, and it is clear that Parliament is in a deadlock over Theresa May’s Brexit deal. Her withdrawal agreement is likely to fall. I also think it’s fair to say that Labour’s current position on Brexit is, at best, just as vague. Now, yourself, along with other prominent figures like Caroline Lucas, Chuka Umunna, and Anna Soubry, have argued a case for a ‘People’s Vote’ as a way of breaking the impasse. Why in your eyes is a ‘People’s Vote’ so important? “It is odd to find myself campaigning for a referendum as I am not a big fan of the referendum as a political and democratic instrument. I wish the first one had never happened. David Cameron insists he had no choice. I am not at all sure about that. We elect MPs to represent us and we elect leaders to lead. “But the referendum having happened, I don’t see how MPs could simply say ‘No, we are not having that’. Nor do I think you can just go back and ask the same thing all over again. But the context is now so different. The Brexit that was promised has not been delivered. Not just because the government is useless but because the Brexit that was promised cannot be delivered. Guess what? You cannot have your cake and eat it. Guess what? You cannot leave the single market and expect to retain all the benefits. Guess what? You cannot make massive political and economic change without doing just that. “The campaign was fought and won on lies and myths; the negotiations have been conducted by the U.K. side on myths and unicorns. Now we are getting close to the crunch point it is clear that the Brexit on offer is not the Brexit that was promised. Leavers hate it because it is not really Brexit. We hate it because it takes away the benefits of being in the EU without delivering any consequent advantages. There will be some, regardless of what you say, who will argue that your ‘People’s Vote’ is, in fact, undermining democracy. They will say a ‘People’s Vote’ is just a vote for sore losers, and that you typify the kind of political agent people would argue Brexit was a vote in protest of. What do you have to say to people who say these things? “I understand why they say that. Cameron said it was a one-off. This was it. And yes we lost. But if you lose a vote there is nothing in our constitution that means you should accept the arguments of those you lost to. Okay then, let’s now suppose that you get a ‘People’s Vote’. What has the centre ground learned from 2016 that would change the way this new vote would have to be fought; what role do you see for yourself in a new campaign? “I guess I would play the same kind of role I have with the People’s Vote campaign itself — a mix of private advice and public debate. And I certainly think it would have to be a very different campaign to the one that Cameron and Osborne ran. Less establishment. Much like yourself, I would prefer to remain in the EU. Part and parcel of a hung parliament, we’ve seen exceptional leadership from the backbenches, with Yvette Cooper, David Lammy, and Chuka Umunna really standing out. Compare this with Corbyn’s attitude, among other issues, to Brexit — I’m left feeling very anxious. We know that 3 out 4 Labour Members want a second referendum and that, in such a vote, up to 88% of members would likely vote to remain. And yet he seems very unlikely to concede to a ‘People’s Vote’ because he’d rather a general election — which he likely won’t get. If Corbyn is refusing to implement the will of the party membership, where do you think the leadership has to go from here? “It’s hard. I think it is pretty clear he doesn’t want to do it. He is entitled to that view, but it does somewhat clash with his stated views about the role of the party membership. “I don’t underestimate the difficulty of the politics, but in both main parties, the leaders seem to operate as though opinion was set in aspic on 23 June 2016. Public opinion changes all the time. The will of the people can change. The circumstances in which a debate takes place can change. And they have. “Leadership ultimately is about doing what you think is the right thing for the country, and the tactics have to underpin that rather than frame it. There is something almost comical about May constantly saying ‘what the people want’ when she: rarely meets them, fought the worst election campaign in living memory, and is desperately trying to make sure the people don’t have a say on her deal. Thank you for your time, Alastair. There is a magnitude of legal problems that surround the 2016 referendum, which is why I was glad that Alastair pointed out that the “campaign was fought and won on lies and myths.” It’s an important point to make because Leave’s campaign was criminal — ran by masterminds and fronted by charlatans. This, of course, isn’t to say that the reasons people voted leave were disingenuous, because as Alastair rightly makes clear, a lot of hard-working people were hit hardest after the 2008 financial crash. Leave tapped into the hardships of those who were left behind after 2008, and squeezed by years of Tory austerity. It reared its ugly head in the form of misinformation and social-media targeting. Claiming that £350 million per week could be pumped into the NHS was an unforgivable lie that undoubtedly duped voters. And let’s not forget, Vote Leave was referred to the Electoral Commission over breaking election spending rules — overspending by almost £500,000. The unregistered ‘BeLeave’, that worked closely with Vote Leave, was also found to have exceeded their £10,000 spending limit by more than £666,000. Leave’s campaign was utterly in contempt of the general public, and should be seen in such a way. The illegal activity of that referendum alone should be a reason enough question its validity. However, it is too frequently forgotten that the referendum was strictly advisory, and not legally binding in the slightest. The House of Lords Constitution Committee in 2010 made this very clear, stating that “because of the sovereignty of Parliament, referendums cannot be legally binding in the UK, and are therefore advisory”. I will concede that, whilst not legally binding, it was politically inevitable that Parliament would want to enact the will of the people. Nonetheless, the legality of the referendum is too often forgotten. This leads me nicely onto another point that Alastair touched on, that “there is nothing in our constitution that means you should accept the arguments of those you lost to”. At the end of the day, he’s right. There is some bizarre notion that you have to concede defeat and give up all opposition. And I’m glad this isn’t the case, because if so, there would be no one holding the executive to account — which time and again has proven paramount in the Brexit process. But this idea that you have to put up and shut is something that a number of young people, like myself, who were not old enough to vote in the EU referendum, have to deal with. Now, I understand the point that with any election there are always going to be people who aren’t old enough to vote, but I cannot accept that argument when it comes to the EU referendum. I cannot accept it because that referendum was argued to be a “once in a lifetime” vote. This was a vote that we should have been allowed to take part in. I, like so many others, reluctantly accepted the “will of the people”. But as time has gone on, it is absolutely clear that what is on offer isn’t good enough; this really is not the right direction for the country to be heading in. Nobody voted for a poorer economy, and nobody voted to be poorer. How is this the will of the people? If this is what is coming out of the ‘vote of a lifetime’, then I cannot in good conscience stand by and allow it to plough ahead. At the end of the day, this isn’t good enough to convince even the Brexiteers, let alone anyone else. Without meaning to sound clichéd, my generation will both be the leaders of tomorrow and those who will suffer the greatest from this mess. It shouldn’t, therefore, be so surprising that there is a large group of us that want to assert some authority over our future. And if this takes the form of a People’s Vote, then so be it. If both the Government and Opposition are confident in their visions of Brexit and have nothing to lose, then send it back to the people. It is a brilliant way of enfranchising younger voters – a way of giving my generation a political will. I wanted to turn my attention to the pressing issue of intimidation against MPs like Anna Soubry. Alastair is right to argue that these people do not represent the majority of those who voted leave in 2016. They are a thuggish minority who will desperately latch onto more or less anything for their advancement. And yet, despite this, I find myself capitulating to the concerns that a second referendum will only embolden the far-right in the UK. This anxiety, which after the murder of Labour’s Jo Cox, is entirely understandable. But upon further reflection, thinking in such a way is also to underestimate the British people, who, time and again, refuse to be bullied into submission by the far right. A second referendum will embolden the far right, but I honestly believe they will continue to remain a minority for as long as there is a political will to keep them there. I also share Alastair’s frustration of referenda as a political tool, especially in a post-2008 world. The UK has been hit with elections and referendums too frequently in recent years; we’ve had the Scottish ‘IndyRef’ in 2014; the 2015 General Election; the 2016 EU referendum; the 2017 general election. Throughout 2018, it looked as if it getting were precariously close to getting another general election. I’m glad it never reached that point. There were even rumours of moves towards a second Scottish referendum. 2019 has only just begun, but is there really the appetite there for a second referendum? Are voters feeling emboldened more than ever to vote a second-time-around? Or are they just too fatigued? We cannot know yet, but I am hopeful. You can buy Alastair’s latest book, ‘Alastair Campbell Diaries: Volume 7: From Crash to Defeat, 2007–2010’ online and in booksellers now (ISBN: 9781785900853). You can also follow Alastair on Twitter @campbellclaret. Featured image: University of Salford, Flickr, cropped. Creative Commons. 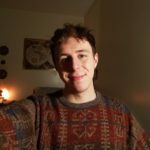 Second-year English Literature student at the University of Sheffield. Can be found frequently listening to Shirley Bassey and shaking from a silly amount of caffeine.